Safety training for body art studios and practitioners offered at New Flower. John Johnson is an authorized OSHA instructor, Red Cross Instructor, ASTM member, and the current coordinator for the Association of Professional Piercers online course system. 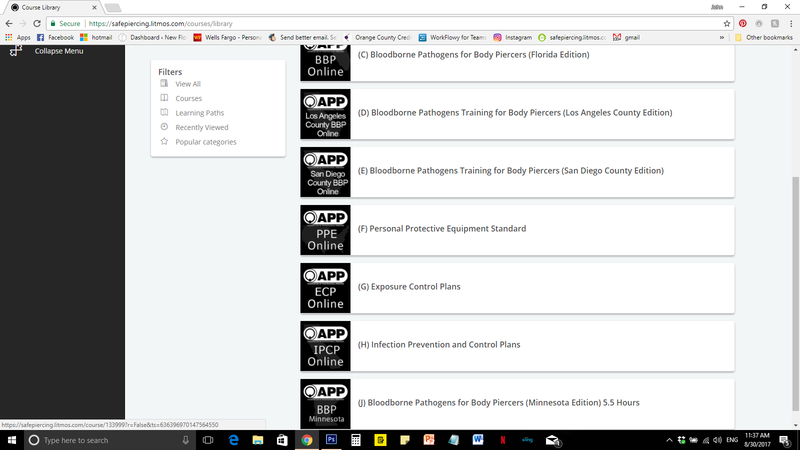 If you have safety training or consulting needs related to OSHA regulations such as the Bloodborne Pathogens Standard please speak to John. This training is ideal for those working in the body art field where the training is industry specific. OSHA’s Bloodborne Pathogens Standard exists to help minimize the risk of exposure to blood at work. We provide on-site consulting and industry specific training for body art studios. Both BBP certificates and Exposure Control Plans must be updated annually. Allow us to help you keep your staff safe and your studio compliant with regulations. We can work with you before or after hours, there is no minimum number of students required, and private consultations with owners and managers are available. 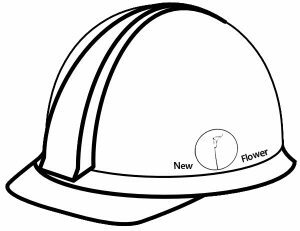 Contact OSHA and Red Cross instructor John Johnson at john@newflowerstudio.com. Individuals can take John’s courses online through the Association of Professional Piercers. These courses are industry specific for body piercing, but studio managers and counter staff will find the information useful. For larger groups in-house sessions are most appropriate. Scheduling is flexible and group sessions help get everyone in the studio working the same way. Without consistent work practices cross contamination is inevitable. Once an infection prevention plan is in place occupational exposure is minimized. If you have an existing Exposure Control Plan let us review it for you at no cost. You’re required to update your studio’s ECP at least annually. If you have one let us check it out.